I am not very good at identifying mushrooms, even with my handy mushroom identification book that I reference after taking a photo of one. 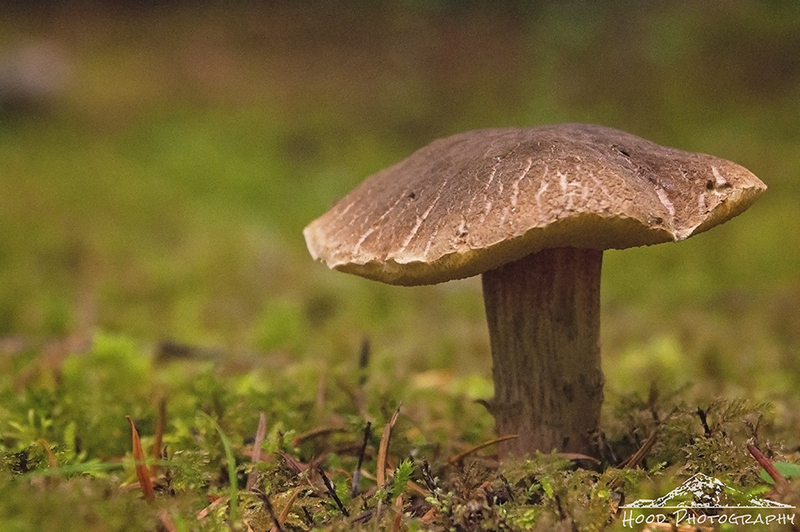 I know this is a bolete, which are a common, mostly edible family of fungus. However, I do not know which type this is specifically. All I know is that it was standing alone in a pretty patch of moss just screaming for me to take its photo. I love photographing mushrooms so much! They sure can be very photogenic. You sure know more than I do! A lovely shot. Hats off to you for knowing that much about it! An exquisite shot of the mushroom...I can imagine fairies dancing around it at dusk. Lovely close up from the mushroom! I like your photo!!!! I, too, have noticed that some mushrooms seem to say, "Take my photo!" i don't know what kind it is but it makes a nice photo! A very beautiful composition--I love how the colors in the moss echo and enhance the mushroom's color. Lovely! Wonderful macro shot of the mushroom! Nice photo! It reminds me of when I was a child and I would go mushroom hunting after the thunderstorm and rain have come to a stop. I just wonder if it's edible! Great shot. Thanks for sharing your outdoor photos with us on The Maple Hill Hop! My husband makes fun of me because I always stop and take photos of mushrooms. They're just so interesting and they just seem to appear overnight. Thanks for sharing. Great macro shot of the mushroom! I love mushrooms as well and try to get better at photographing them in the wild. The ones I normally see are rather close to the ground in darker forests....not the greatest for capturing a picture. Yours looks lovely, nice job. I would be afraid to eat any even if I had an identification book.